Exclusive rights are granted to anyone who creates a work that is expressed in a tangible medium. Once that work is expressed in a tangible medium, it is copyrighted. Under current United States copyright laws, no paperwork or notice of copyright is needed to copyright an originally created work. Aside from financial benefits, non-creators do not have the right to produce or distribute copies of a copyrighted work. Mutilations of any kind that may or may not make a copyrighted work recognizable are also illegal. Illegal actions concerning copyrighted material are referred to as copyright infringement and those who commit copyright infringement will be subject to penalty under the law. Exclusive rights were first granted to a copyrighted work in Britain in 1709 after Parliament passed the Copyright Act. Other conferences and treaties that helped pave the way for copyright laws include the Buenos Aires Convention, the Berne Convention and the Universal Copyright Convention. These conventions set up treaties that declared copyright rules regardless of national origin for all members who signed on to the treaty. The works listed above are the intellectual property of their creator. Only the creator is entitled to benefit from the works. If a work is original and it is created in a tangible form such as a story written on paper or a song recorded onto a phonorecord, that work is immediately copyrighted. The stealing of intellectual property is against the law. There are some copyright exceptions that prevent infringement from being committed. Libraries may not produce more than a certain number of copies of a copyrighted work. They also must have an original copy of a copyrighted work if it is reasonably priced. Movies or other transmissions may be broadcast to a crowd but there are limitations on the space available for viewing. Excerpts or clips may be used for fair use. Fair use includes critiquing, reporting and educational reasons. Any copyright exceptions may not be used to create a personal financial gain, but simply covering the costs to produce copies or cover educational or basic production costs are permissible. A use must not be for commercial gain. Educational usage must be not for profit. The nature of the copyrighted work comes into play. For instance an author that intends to profit off an educational book will not want their main target demographic receiving free copies of the material even if it is for educational purposes. The amount of copyrighted material used must also fit guidelines. Once again, an entire book cannot be copied for each student to use. Also, a book critic may not publish an entire book in a newspaper or a movie critic may not play an entire movie on their review show. This directly takes profit away from a creator. Fair use copyright may not have an ill effect on the market value of a piece of original work. Libraries and archives are entitled to make no more than one copy of a phonorecord. The copy must be made from an originally purchased phonorecord as long as the price is reasonable. The reproduction of of the sound recording must not be for financial gain of the library or archive. There must be clear notice of copyright on the original or copied version of the phonorecord, stating the name of the creator and when it was copyrighted. The copied material must not be intended for use outside the library or archive by a public person. Transferring the phonorecord digitally to others outside of the library is copyright infringement. The library or archive is responsible for making sure its own employees do not illegally duplicate or produce numerous copies of a work. Illegal use of a copying machine concerning a phonorecord is the fault of the person alone, the entire library or archive will not be held responsible. These rules only apply to phonorecords. 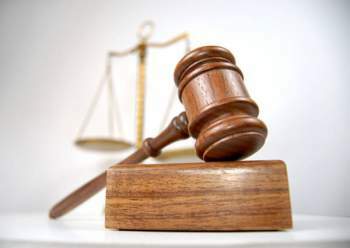 Literary works, graphics and pictures fall under a different set of reproduction rules. 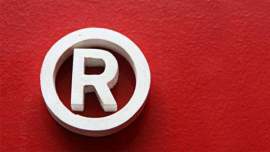 Any work intended to be used in a classroom setting and create a profit for the author and is unlawfully obtained is considered copyright infringement. 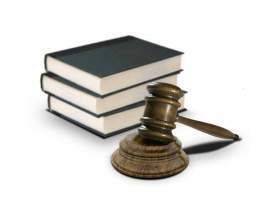 If the work is obtained legally, only a portion of the work should be given out to students. If the entire work is copied and used, that is infringement. 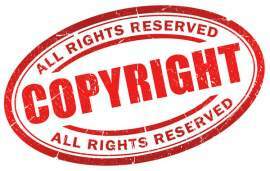 If a governmental body or school uses a copyrighted work, the use must be educational. The use must also be limited to the classroom in which it is being used. Any use that extends beyond the classroom or serves as a means of financial gain is copyright infringement and impedes on a creator’s exclusive rights. Religious copyrighted content can only be displayed in places of worship when displayed in front of groups of people. Performances of literary works such as school plays cannot be for profit. If a charge at the door is applied it must go toward funding for the school, charity, or cover some minor necessary production costs. Any personal profit gained is infringement. A copyright owner may take away the right of an establishment such as a school to perform an original work regardless of any financial details. The written letter of objection must come at least seven days before the performance and state the reasons for objection. The letter must conform to the guidelines set forth by the Register of Copyrights. Copyrighted material put on display in a private home cannot come with a charge to enter the home to view the work. Non-food and drink establishments can only display copyrighted work through six loudspeakers and no more than one television screen per room. Screens may not exceed 55 inches. Only 2,000 gross square feet may have an accessible view or the sound or visual. Food and drinking establishments must follow the same rules except they are allowed 3,750 gross square feet of accessible viewing. Reproduction for the Disabled may not be reproduced or distributed in a format that is not specially made to be enjoyed by a disabled person. There must be a notice that any further reproduction or distribution of the material in anything other than the specialized format is not a copyright exception. There must be notice of copyright which includes the copyright owner and the original date of publication. Formats that are accepted as alterations to an original work are considered copyright exceptions if they consist of: Braille, audio text, or digital text to serve the blind or other disabilities, and large print formats may be used to serve those with impaired vision.